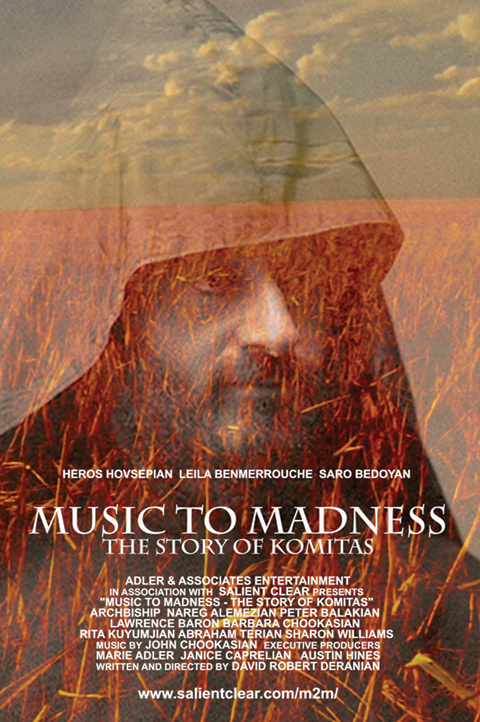 Music to Madness: The Story of Komitas – Adler & Associates Entertainment, Inc.
“Music to Madness – The Story of Komitas”, examines the Armenian Genocide from the perspective of Komitas, an Armenian composer and priest who experienced a life filled with the passion of dreams pursued. Tragically, Komitas also witnessed the devastation of that dream during the calamity of the Armenian Genocide in the years 1915 – 1923. Through the life and tragedy of Komitas, genocide is considered not only as a demographic description of mass killing, but also as the murder of individual persons and the implications of their murders on the culture they leave behind.